This story, a sequel to “Sentimental Journey” by Barbara Bretton, would be the 1950’s entry in Harlequin American Romance’s “Century of American Romance”. Mac Weaver, an American reporter delivered to England, to hide the coronation of Queen Elizabeth II, meets English journalist, Jane Townsend. After a whirlwind courtship, they marry and resume America to call home. Mac and Jane do their finest to fit into suburbia, where everybody is expected to be precisely the same. They make intentions to start a family. 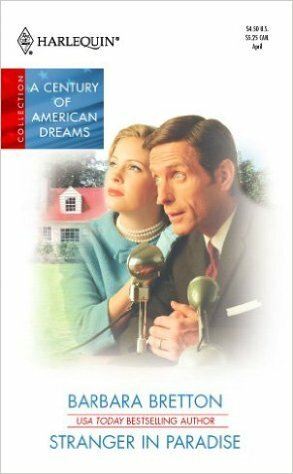 But when a few of Mac’s possibly “Red” newspaper articles revisit haunt him, plus a book from Jane’s “Socialist” uncle is looked upon with fear by suspicious and gossipy neighbors, Mac and Jane handle the disadvantage of 1950’s America. How will they go above their problems? This book was wonderful! I liked the vivid information everyday life in 1950’s suburban America. There is also the concurrent story of Nancy and Gerry Sturdevant, along with their three small daughters. The conflict we have found that Gerry wishes to leave Wilson Manufacturing, and open a drive-in movies, while Nancy is in opposition to his leaving a gradual job for an uncertain proposition. How they resolve this difference — and discover themselves again within the process– tends to make an extra-special read. And there’s obviously any good wraparound section featuring Mac and Jane’s daughter, Liz, who may headed for just a romantic encounter of her very own. Highly recommended! This entry was posted in Romance and tagged Stranger In Paradise (Century of American Dreams).